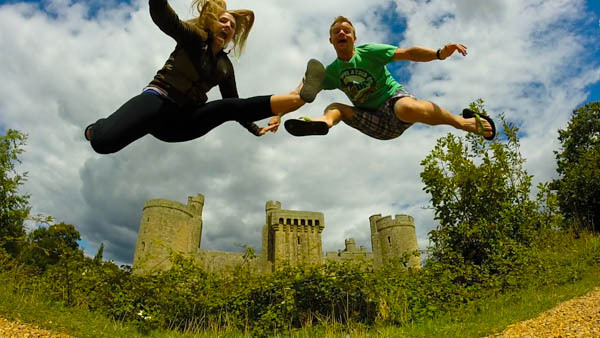 We took a short flight over to England to visit some good friends of ours, and while we were there, they took us to Bodiam Castle, the backdrop for this jump shot. Jump Shot in front of Bodiam Castle. This jump shot actually landed us in USA Today. 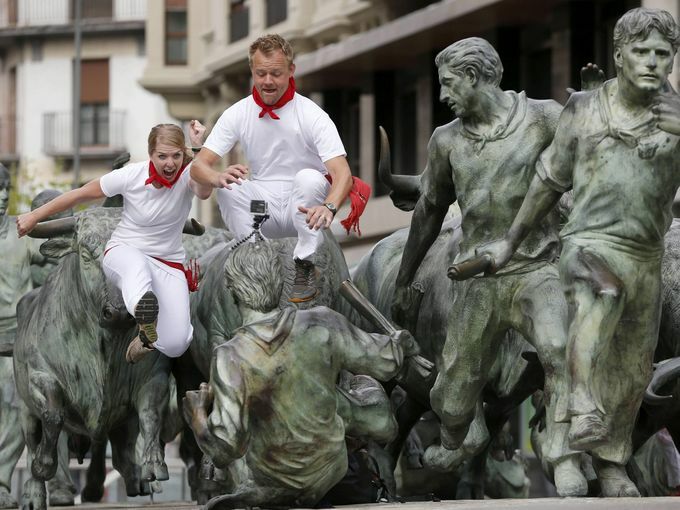 It was taken on a statue in Pamplona, Spain, just a block away from the where the bull run takes place. 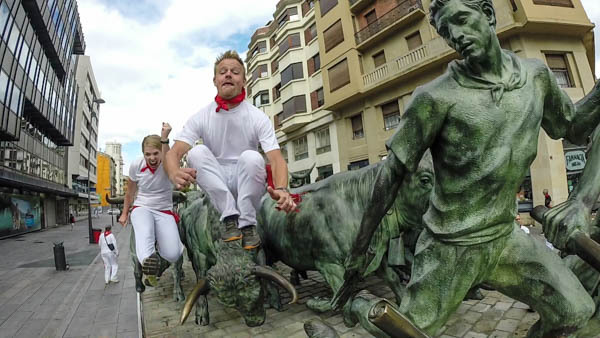 In addition to this shot, we did actually run with the real bulls as well. Definitely scarier than the bronze ones. Jump shot taken with the GoPro. Jump shot that made it into USA Today. 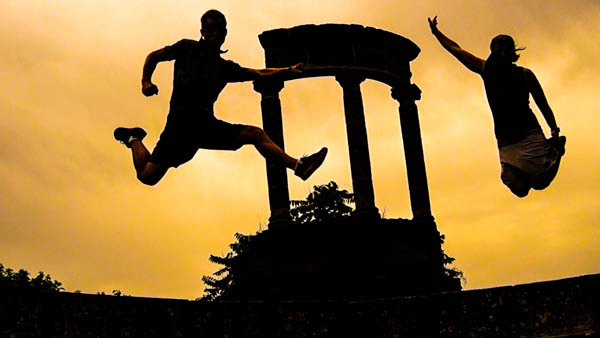 This jump shot was taken at the ruins of Pompeii, near Naples, Italy. I can’t say what exactly the relic behind us represents, but we thought it was a worthy back drop for our shot. For other jump shots, click here. Jump shot in Pompeii, Italy.